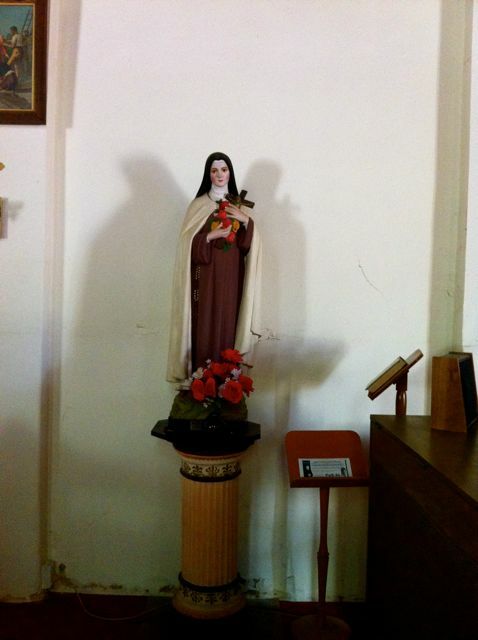 An image of a statue of Saint Mary inside St. Patrick's Catholic Church in the town of York, Western Australia. The foundation stone of St. Patrick's Catholic Church was laid on St. Patrick's Day in 1875, with the building being completed in 1886. It was designed and built under the supervision of ex-convict Joseph Nunan, who was commissioned by the resident priest of the time, Father Patrick Gibney, to build a larger church to accommodate an increasing congregation. The design of the church is typical of the Gothic revival style with its spire, tall arches, vaulted ceiling, rose windows and lancet windows. This style of architecture was particularly popular in England, Australia, and other British colonies throughout the eighteenth and nineteenth centuries. 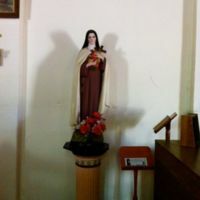 “Statue of Saint Mary in St. Patrick's Catholic Church, York, WA,” Medievalism in Australian Cultural Memory, accessed April 25, 2019, http://ausmed.arts.uwa.edu.au/items/show/640.